Hornsea Lakeside Lodges in Hornsea, East Yorkshire. 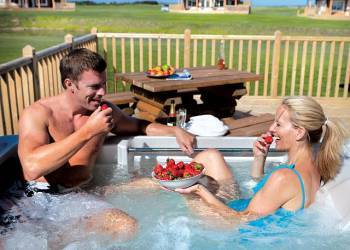 Hornsea Lakeside Lodges make any holiday that little bit extra special. Each lodge has undergone careful styling to create a sumptuous, contemporary ambience. The lodges are beautifully complemented by a private hot tub, perfect for relaxing under the stars after a long day exploring this beautiful corner of England. Acorns in York, East Yorkshire. 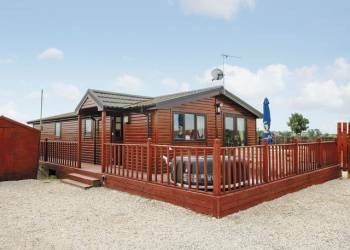 Situated on a quiet and safe privately owned development, this delightful log cabin offers stylish and well planned accommodation on one level which is suitable for couples and families alike. The City of York is some 7 miles away, famously known for York Minster, National Railway Museum and medieval City Walls. York is easily accessible by local bus or park and ride facilities, a 10 minute drive. Fir Tree Lodge in Flamborough, East Yorkshire. Fir Tree Lodge is a luxury detached log cabin, nestling within a small development on the edge of the prestigious Links Golf Course between Sewerby, Flamborough and Bridlington. The lodge is light and airy providing a spacious living area which can be accessed by a ramp and offers two bedrooms, both with en suite facilities, ensuring privacy for all guests. A small cloakroom/utility room houses a further WC and wash basin and the convenience of laundry facilities. Millbrook Lodge in Holme On Spalding Moor, East Yorkshire. A really peacefully sited detached lodge accessed on a level unmade farm lane and set in a private well fenced lawned garden with views over surrounding countryside from the hot tub on the verandah. On the edge of the Yorkshire Wolds there are dining pubs, restaurants, takeaways, shops and cafe within 1 mile. The Medieval city of York with superb visitor attractions and designer shopping is 15 miles and The Deep aquarium is 25 miles. Sandy beaches at Bridlington and Scarborough, the house of Sledmere, Nunnington Hall (NT) and Castle Howard and the steam trains across the Yorkshire Moors from Pickering are within an hour's drive. Horse riding 200 yards, golf 6 miles and fishing 5 miles.